Elite: Dangerous is set to expand with new content, new adventures and a hefty new price tag. Elite: Dangerous developer Frontier has announced a “season of gameplay expansions” called Horizons. Horizons kicks off with an add-on called Planetary Landings, which will allow players to scan planets and moons in search of signals, wrecks, minerals, outposts and fortresses. 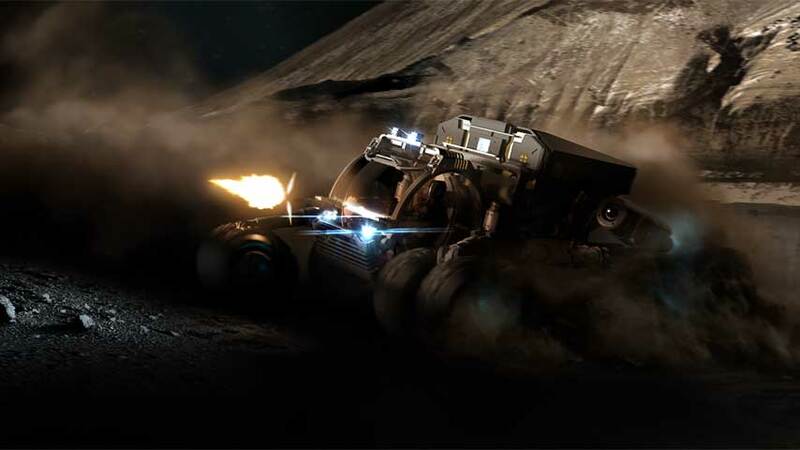 They can then venture to the surface either alone or in groups, deploy a new Surface Recon Vehicle called the Scarab, and “explore, mine and engage hostile forces as they attempt to infiltrate strongholds guarding valuable rewards”. Although this quite weighty update is the only content that has been detailed, Frontier said Horizons will “continue to introduce new features and gameplay as the season continues into 2016”. This will include “new activities and new ways to play”. Horizons will be bundled with the original game in a package called Elite Dangerous: Horizons, and sold for $60 – the price of a full new release. There’s no way to grab the expansion separately, although existing players will benefit from a £10/$15 discount on the re-release, receive a Cobra Mk IV spacecraft and retain all progress to date. This pricing has not gone down well at all, with one Reddit thread generating hundreds of angry comments, pointing out that new players only have to pay $60, while existing ones will have coughed up $105. Elite Dangerous: Horizons is due during the 2015 holiday season. A trailer follows.